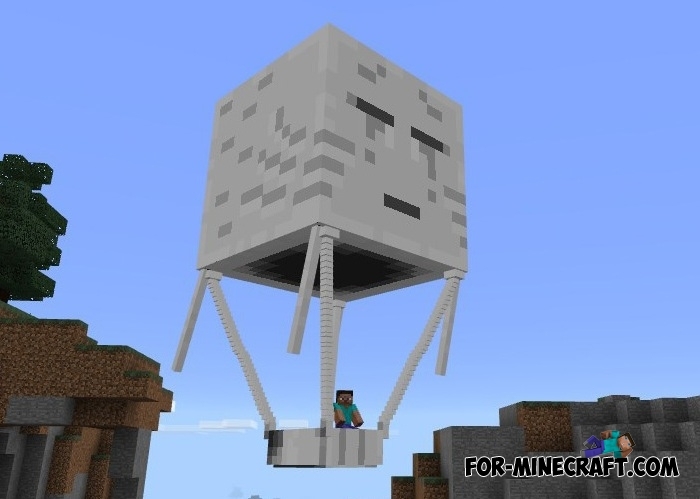 Awesome mod for Minecraft PE 1.0.0 that will add an air balloon made of the ghast. It looks very realistic and it can move you at any distance. The only drawback is the lack of controls, you can not choose the direction of movement. With this balloon you fly up to the height of the bird's flight and will be able to see the beauty of the world. 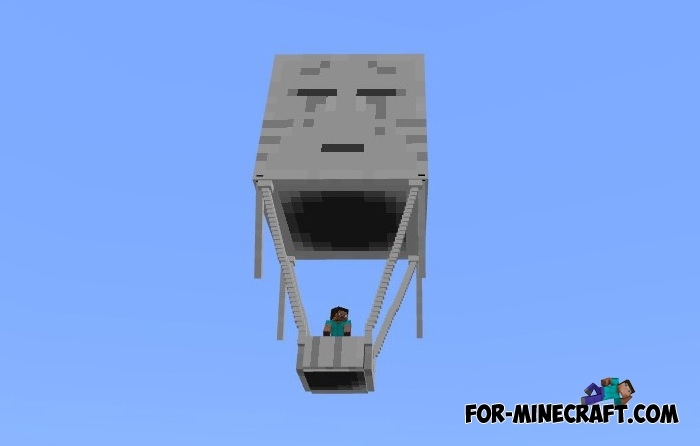 The balloon flies in different directions as well as ghast, because of this it is not suitable to quickly get to your destination. The balloon sounds like an ordinary ghast and unfortunately you can not disable it. How to use the air balloon? 1. Spawn a ghast and approach it as close as possible. 2. Then use a long tap to get into it. 3. Press any button to jump out. Important: Do not press any buttons otherwise you fall out of it. But in spite of it all, the Ghast Balloon mod is really different from similar ones and will allow you find yourself in the sky.